It's been a while since I did a dupes post! I've found some really good dupes of some hyped up new launches so I'm super excited to share this with you! Some of these aren't exactly more along the lines of alternatives but still very similar. 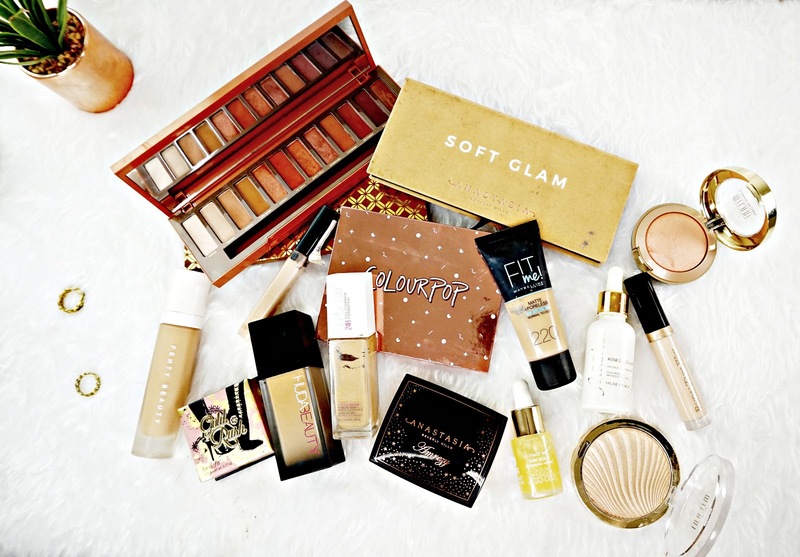 I've tried to steer away from the out right copies and your Makeup Revolution dupes so hopefully some of these will be new to you. I'm pretty sure most of you would have seen and heard about Rhianna launching her own makeup line. Which included this foundation, which comes in a huge 40 shades. 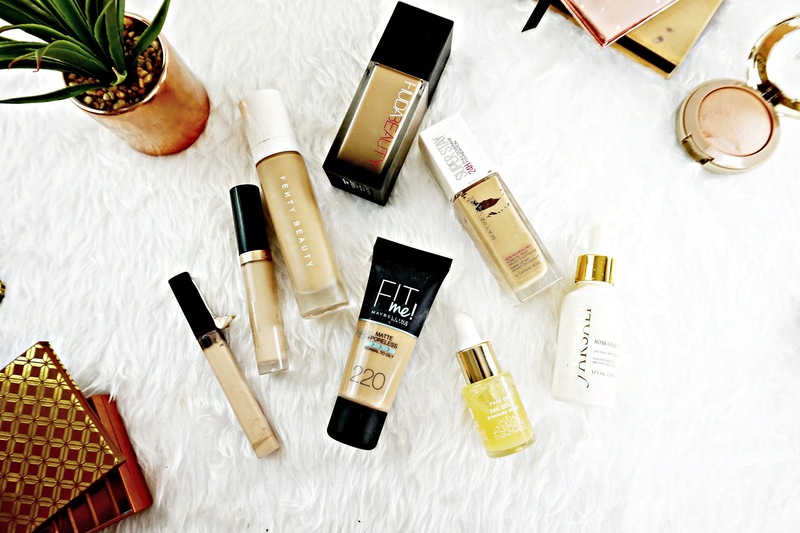 The Fenty foundation itself is a matte foundation, a very matte foundation. I have dehydrated skin so without a good primer this doesn't really work for me but I think oily people will love this. The dupe I have for this comes in the form of the Maybelline Matte and Poreless. Both foundations have a really waterery, easy to blend consistency. Both have medium to full coverage, and both have a matte finish. They are very similar! But I actually prefer the way the Maybelline one sits on my skin. It doesn't look as dry as the Fenty one, but it's still matte. So in this case I actually think the dupe is better! The only down side to the Maybelline one is it doesn't have a shade range like Fenty. But if you can get a good match I really recommend the Maybelline one. Plus it's super cheap to. Another highly anticipated foundation launch was the Huda Beauty Faux Filter Foundation. Which promises to offer full, seamless coverage in a semi matte formula. I do really like this foundation. The dupe I have for it is another Maybelline foundation, in the form of the newly reformulated Superstay Foundation. I've been raving about this foundation everywhere - I love it! And it's so similar to the Huda one. Both have the same consistency. They're more on the creamier side, but still easy to blend. They both have the same demi matte finish and the same medium to full coverage. But again, I actually prefer the Maybelline one. I found that the Huda one sometimes sinks into pores and doesn't look that great over my dry areas. The Maybelline one on the other hand, looks flawless on! I really can't recommend it enough. It's just the shade range that lets the Maybelline one down. Huda has 30. Overall, I can't fault the Maybelline one, I love it! When Anastasia Beverly Hills dropped this highlighter collab with Amrezy I brought it without a second thought. It's stunning! The shade is a really pretty Gold that would suit most skin tones. The formula is so unique to. It's almost like a gel powder, but not in a wet way. I think this is sold out at most stockists and it was a limited edition. But I have a really similar dupe. 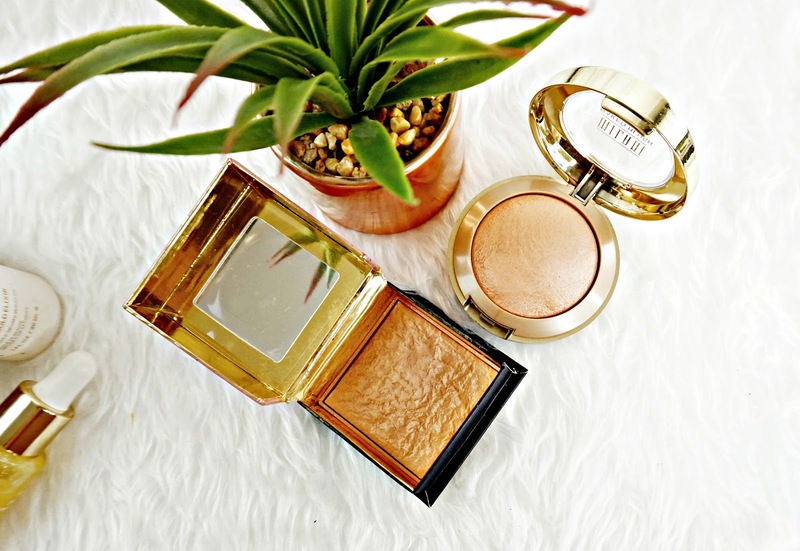 Milani highlighters are one of my favourite formulas and the shade Sun Glow is pretty much identical to the Amrezy highlighter. Formula wise these aren't the same but you can't tell when they're on the face. I will say that the ABH highlighter is slightly more reflective but only just. The Milani one is slightly more golden in tone. Like I said on the face they are basically the same. 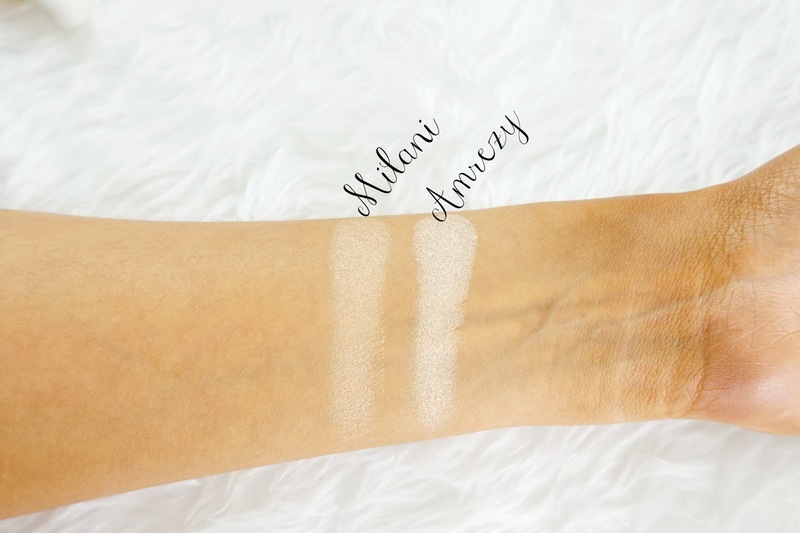 So if you missed out on the Amrezy highlighter definitely check the Milani one. It's half the price to! 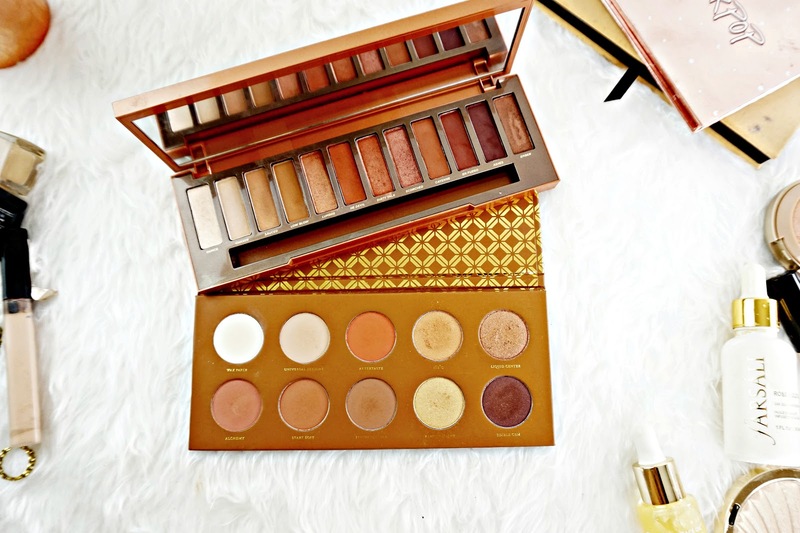 Another amazing Launch from Anastasia Beverly Hills is the Soft Glam Eyeshadow palette. Which is the most basic (in the best possible way!) palette ever. It's perfect for everyday wear. You have everything from neutral Browns, warm tones, pretty shimmers and even a matte Black. But at £42 this isn't the cheapest and probably out of some people budget. Despite this being a perfect natural everyday palette I don't have an exact dupe. But the ColourPop I Think I Love You palette has similar shade range. It has the perfect everyday natural shades as well as a Black and the shimmers. Formula wise, they are very similar. 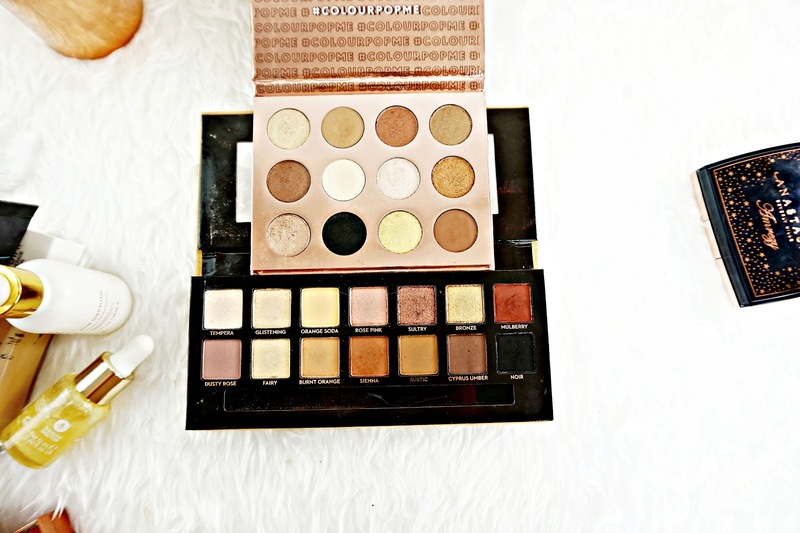 Both palettes are super creamy, easy to work with and really pigmented. If you're after a cheaper alternative the ColourPop Palette is definitely worth checking out. 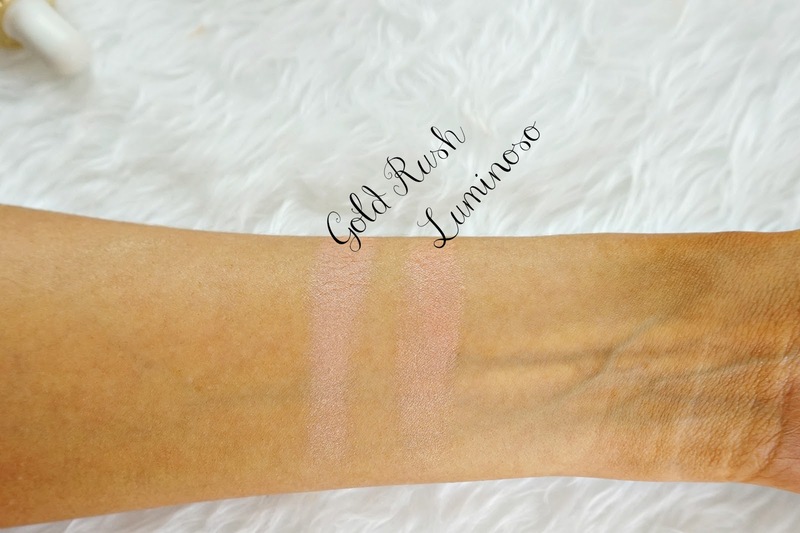 Benefits most recent blush launch is basically identical to Luminoso shade wise. Both they are really pretty Peach shades that really lift the face and give that alive look to it. In terms of formula the Benefit one is soft to touch but I don't really think this makes a difference on the face. Both offer the same pigmentation. 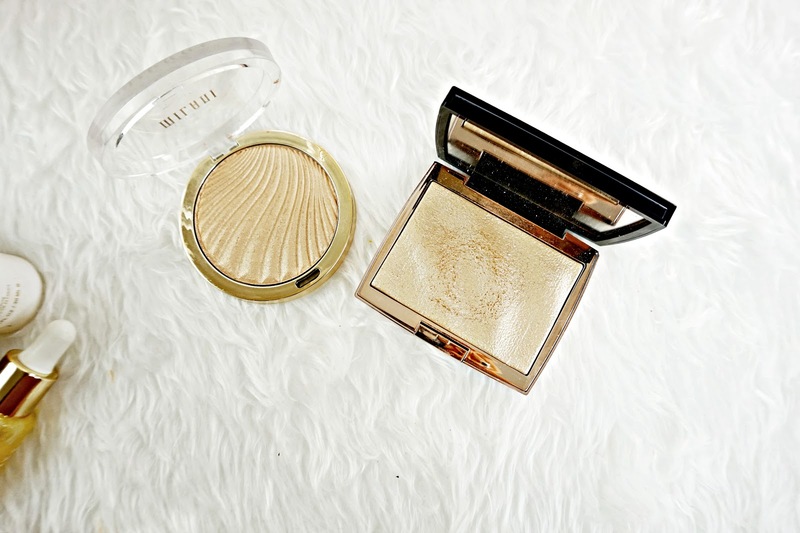 The only thing that the Benefit blush has over the Milani one is it smells amazing! That aside they're pretty much the exact same. The Naked Heat palette is one of my favourite palettes. All the warm tones are just so stunning. I've tried so hard to dupe this palette with what I have in my collection, I don't have anything exactly the same shade wise. But the Caramel Melange palette is very similar. While there are only 2-3 shades that are exactly the shade in this palette. Both are very warmed toned, with rich Red hues. In terms of formula I do have to say I do prefer the formula of the mattes in the Urban Decay palette. They're a bit more creamy and blend a little easy. That's not to say the mattes in the Zoeva palette are bad. They're actually very good, but Urban Decay just edges it. The shimmers in the Zoeva palette however, are on par with the Heat. All of them are really pigmented and apply beautifully! Both palettes have amazing staying power to. For me personally nothing beats the Urban Decay Palette but the Zoeva option is a great alternative and an amazing palette in it's own right. Everyone compares the Maybelline concealer to the NARS Radiant Creamy but I don't think they're similar at all. I actually think the Maybelline concealer is an amazing dupe for the Too Faced Born This Way Concealer. Both have medium but build-able coverage, both have a super creamy blend-able formula. And both look so natural on the face. I personally love both of these under my eyes because that help brighten the area whilst looking natural! I actually can't tell the difference between them. So if you don't have £20 to spend on the Too Faced definitely check the Maybelline one out. I love the Farsali oil. It's a multi tasking oil that can be used as skincare, a primer and even lip oil. It has Gold flecks in it that disperse on the face, giving it a gorgeous glow and radiance. I do love this oil but boy is it expensive! I have found an oil very similar to it though. This offering from Manuka Doctor is basically the same thing. It's super hydrating and has Gold flecks in it that give the same radiance to it. It also works just as well as a primer. They even smell the same. The Manuka Doctor version is slightly thicker, it has more of a serum consistency but when massaged in to the face you really can't tell the difference!